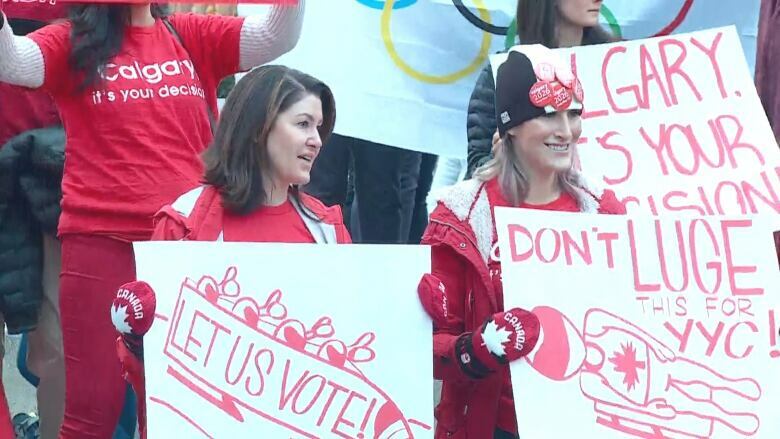 Well, well, well: Turns out after Calgary city officials rescued the city’s 2026 Olympics bid from the brink of death with a last-minute renegotiation with the Canadian federal government, city residents voted to send it right back to the grave yesterday, delivering a 56-44% verdict that the city should not offer to host the Games. With just seven months to go before the International Olympic Committee makes its decision on a 2026 host, this leaves only Stockholm and a joint bid by the Italian cities of Milan and Cortina in the running. And Stockholm’s new city government has declared itself opposed to using any public funding to build Olympic facilities or cover cost overruns, while the Italian national government has said it won’t contribute “one euro” to Milan-Cortina costs. None of this is likely to turn out to be the long-awaited collective global middle finger to the IOC’s host city demands — either Stockholm or Milan-Cortina will likely figure out a way to host the 2026 Winter Games. But it is absolutely a sign that more and more cities are pushing back on the IOC’s insistence that host cities foot the bill for the Games — and cover any shortfall if they lose money, which they almost always do. It’s the reason why the IOC picked 2024 and 2028 Olympic hosts (Paris and Los Angeles) at the same time, and why the committee is constantly touting its promises to cut costs and reduce the number of white-elephant velodromes left scattered around the countryside in a Games’ wake. Push may not have come to shove just yet, but it seems to be heading there, and if it does it’ll make for some very interesting negotiations around the 2030 and 2032 Olympic bid races. Mayor Nenshi said Calgary’s share would come in at a touch more than $400 million. The provincial Alberta government would fork over $700 million, and the federal government in Ottawa has promised a barrel of money, too. “This is almost a tax rebate,” the mayor said. Yep, it’s as suspected: Nenshi is for the Olympics because the vast majority of the money would come from the federal and provincial governments, so if he can land the Games and all of its associated infrastructure spending for just $400 million from his own budget, that’s a deal he’ll take. There’s a certain logic to it in an extremely parochial way, but really, “If my stupid colleagues in Ottawa are gonna blow a lot of taxpayer money on the Olympics, I want them to blow it in my town” is a disappointing position, to say the least, from a guy with a reputation for forward-thinking governance. I nosed about afterward on the internet and noticed that Ernst & Young served as a richly compensated “exclusive provider” to the Rio Olympics. Previous Olympic cities, Ernst & Young noted in a news release, had seen arenas turn into white elephants. Not Rio, no no. “We have established sustainable postgame use for facilities” through a regimen of good governance and finance, the release said. Two years later, Rio de Janeiro is stuck with a rumbling herd of white elephants, Olympic pools filled with rat feces, and a burned and collapsed velodrome and wrecked arenas. At a bargain price of $400 million, who wouldn’t want that? Polls close at 8 pm Calgary time, and it’s likely to be close, so we may not know until morning whether Milan will win the 2026 Games by default. The Calgary city council voted 8-7 yesterday to pull the city’s 2026 Olympic bid off of the November 13 ballot in the wake of controversy over who’ll foot the Games’ multi-billion-dollar bill — but as a ten-vote supermajority was required to pass the measure, the plebiscite will go ahead as scheduled. Yep, Mayor Naheed Nenshi, scourge of sports subsidies, voted to move ahead with plans to spend at least $2.325 billion in public money, and more likely $3 billion, and more likely than that upwards of $4 billion given how cost overruns usually go with these things, on hosting the 2026 Winter Games. Why, Mr. Nenshi, why? Well, that’s unspecific but certainly enthusiastic. Presumably Nenshi’s argument is that Calgary’s share — $370 million under the new plan — is a good investment in exchange for the federal and provincial governments building more than $2 billion of stuff in Calgary. But while that’s certainly better for the city than where the deal stood over the weekend, city taxpayers are also provincial and federal taxpayers, and anyway is “Ha ha we’re sticking people in Moose Jaw and Thunder Bay with most of the bill, this’ll be great” really good public policy? And, for that matter, is spending even $370 million for a projected $200 million return a good idea? Plus, who’s going to pay those cost overruns? Eight city councillors were concerned enough about these questions to vote no, including Evan Woolley, chair of the Olympic assessment committee, who told CBC News, “I personally will not support a deal that’s not in the best interests of Calgarians. We do not have the deal in front of us today.” The question now will be whether more Calgary voters share Nenshi’s excitement or Woolley’s qualms. If they do, then it should be smooth sailing once — sorry, what’s that? Calgary 2026 highlighted one budget line that called for the city to purchase a contingency insurance policy, valued at $200 million, for $20 million of city funds. The organization said that will leverage $200 million matched by the federal government. When questioned, however, it became clear there was no insurance policy identified as yet and if none could be found, Calgary 2026 just said it would find more cuts in their budget. Friends, don’t let friends bid on the Olympics. Sorry to be late with the posting today, but I had a morning appointment and time got away from me and anyway Calgary and Alberta and the Canadian government have apparently settled their $430 million difference over paying for a 2026 Winter Olympics bid, meaning the plan will now go to a public vote on November 13 as previously scheduled. From the City of Calgary, $370 million in cash, plus another $20 million to cover a premium on a $200-million insurance policy against cost over-runs, for a total of $390 million. From the City of Calgary and Government of Alberta, $150 million in pre-authorized improvements to Victoria Park and access to the Calgary Stampede grounds. From the Government of Alberta, $700 million in cash. From the Government of Canada, $1.423 billion, which matches the amounts committed to the core event costs by the province, city and Town of Canmore; also, $30 million in “leveraging initiatives” which the letter said are identified in the hosting plan. So basically Calgary and Alberta put in an extra $170 million, the feds put in $47 million less, and the total public contribution ($2.69 billion) is nearly $200 million short of the actual total public cost. Numbers are fun! The numbers work out better if the $200 million insurance plan is counted as a city expenditure toward the $2.875 billion cost. But if it’s part of the cost, it’s not for overruns — you’re really saying that the projected cost is now $2.675 billion, plus have an insurance policy for the next $200 million. Seriously, did somebody major in doubletalk here? Furthermore, an insurance policy against $200 million in cost overruns doesn’t do much good if the overruns are more than $200 million — which, as noted above, they’re almost certain to be — so who covers any additional costs? It was signed by Alberta Premier Rachel Notley, federal Minister of Sport Kirsty Duncan and included a space for Calgary Mayor Naheed Nenshi’s signature. Nenshi was “not available for comment” today according to several news outlets, and hasn’t tweeted in a while, so your guess is as good as mine what’s actually been agreed to and by whom. The city council is set to vote on a proposal to deep-six the Olympic bid entirely today, but presumably this announced agreement is set to forestall that, but councilmember still sounded unhappy about the new deal but they were being yelled at by angry luge fans NO SERIOUSLY ANGRY LUGE FANS and I need to go have a lie down right now. Let’s all tune in again tomorrow morning — morning, I promise this time — and see where the chips have fallen. The letter was triggered by Friday’s Postmedia revelation that the federal cabinet had decided to fund up to $1.75 billion in 2026 dollars, but only if the province and city match the total. “It is clear there has been a tremendous misunderstanding of the nature of the required funding amongst the three government partners and now we are in a position where we cannot show citizens how the required public contribution could be met,” Nenshi wrote. Calgary and Alberta officials apparently thought they had an agreement in place where the city would put in $370 million, the province $700 million, and the federal government $1.75 billion plus any overruns. But it turns out the $1.75 billion is in 2026 dollars, which comes to more like $1.5 billion, and it’s contingent on the city and province matching that $1.5 billion, which is $430 million more than the two local governments had offered. Negotiations are reportedly ongoing, but there isn’t much time left, as Nenshi said he needed a resolution by today or he’ll cancel a scheduled November 13 public vote on the plan. Polls have shown that the proposal is likely to pass, but Nenshi has previously reserved his right to pull out of the bid before or even after the public vote, so there could be much haggling yet to come. Which is good, because at $3 billion in public costs and a projected $200 million in new tax revenue, this sounds like a pretty awful deal, unless Calgary residents really think it’s worth $2.8 billion to have their lives turned upside down for three weeks in 2026 so people can come watch winter sports (doubtful, though Canadians do love their curling) or to put Calgary on the map as a tourist destination (um, maybe after global warming kicks in a few more degrees?). We should find out more by end of day, or at least by Wednesday, when the Calgary council is set to meet to discuss the Olympic plan. Stockholm’s new city government said it won’t provide any public funding for a possible 2026 Winter Olympics. That would leave only Milan and Calgary as bidders, and the former hasn’t committed to public spending either, while the latter is set to hold a public referendum next month on hosting in the midst of complaints that no one knows how much it would cost. It’s still a longshot, but there’s a real chance here we could see our long-awaited “What if they held an Olympic bidding war and nobody showed up?” moment, or at least that the IOC will have to consider bids that don’t include its usual requirement that local government promise to backstop any losses. “Several dozen” Long Island residents marched in protest last week against the New York Islanders‘ proposed arena near Belmont Park, saying it would create too much traffic and construction noise. Those aren’t the best reasons to be concerned about it in my book — I’d be more upset about the crazy discount on land New York state is giving the team, if I were a New York taxpayer, which I am — but maybe the protestors are worried about that too but it didn’t fit easily on a sign. The owners of the Miami Marlins (i.e., Derek Jeter and the money men behind him) are going to have to pay $2.5 million to Miami-Dade County for moving Red Grooms’ home run sculpture outside their stadium, since relocating it means that Grooms will disavow the work and make it worthless. They should’ve just traded it to Milwaukee for some lousy prospects. Oklahoma City is looking for capital projects to spend the next iteration of its sales-tax hike on, and Mayor David Holt says if a maybe-MLS-caliber soccer stadium isn’t included, “the Energy won’t be here forever.” The Energy, if that name draws a blank for you, is the city’s beloved USL franchise that’s been there since … 2014? It’s only a matter of time before teams start threatening to move before they even exist, isn’t it? Bwahahahaha, the Los Angeles Chargers are reportedly locked into their lease at a new Inglewood stadium through 2040, so there’s no way they’re moving back to San Diego or elsewhere no matter how terrible their ticket sales are. Dean Spanos is so screwed! Uh, until he sells the team for a multibillion-dollar profit, but he’ll be crying the whole way to the bank, I promise you!